A list of the top 150 things to do in Toronto and the GTA. I’m not sure if you guys caught it, but I hope you were able to join me for my live Facebook and Instagram chat with Kanetix.ca. I listed the top 150 things to do in Toronto and the GTA (Greater Toronto Area) for #TravelShare in celebration of Canada’s 150th birthday. Happy Birthday Canada! If you missed the live event, don’t fret – you can still watch it on my Facebook page. 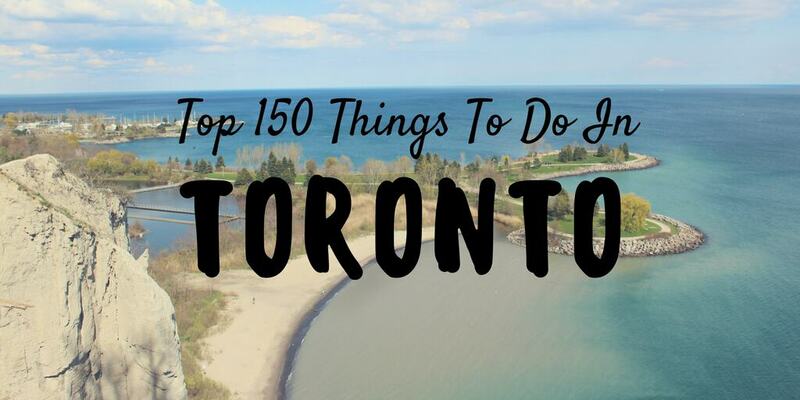 However, I’m also going to list the top 150 things to do in Toronto right here. This includes Toronto and its surrounding suburbs, the GTA. While there are likely thousands of fun activities in Toronto, we were able to narrow it down to 150 to get you started. Do you live in the GTA? 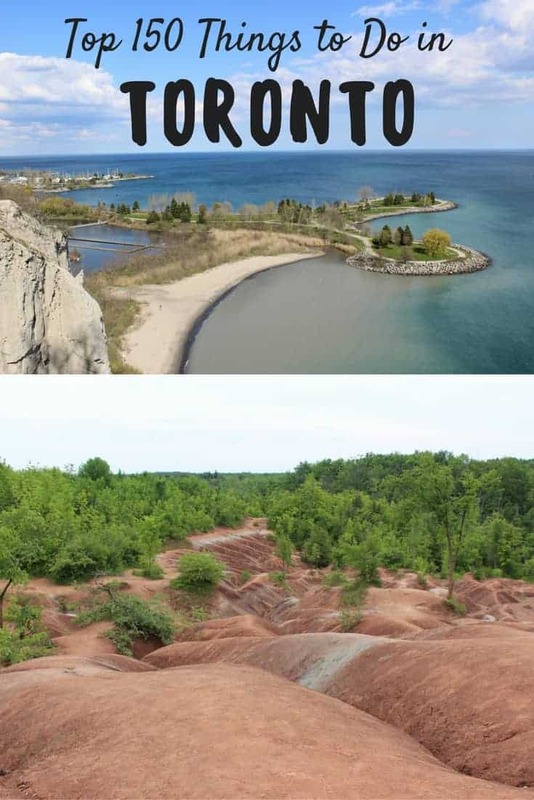 Have you visited Toronto before? What’s your favourite thing to do in the city? 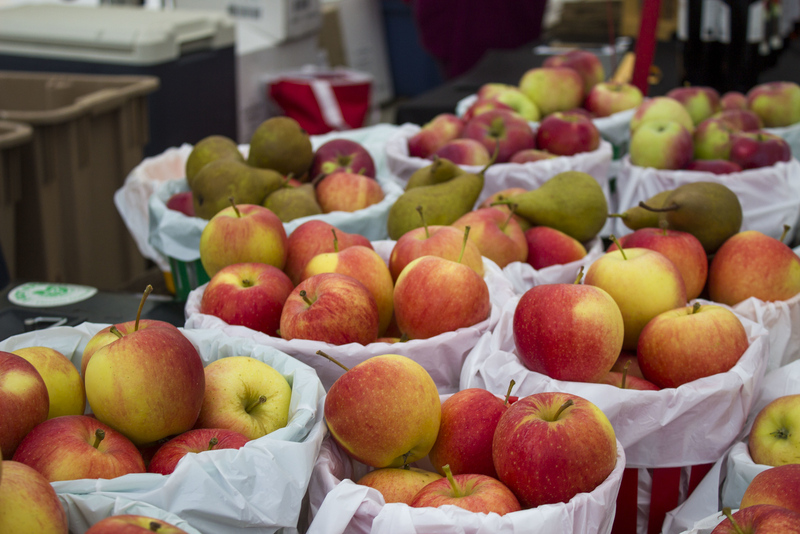 Apple Factory, Brampton: A fresh country market experience with fresh produce and pies. The Cold Pressery, Mississauga: A vegan cafe with sandwiches, smoothies, and donuts. Try my favourite, the cookie affogato (vegan ice cream, a chocolate chip cookie, and coffee poured on top). Yum! Through Being Cool Vegan Bakery, Toronto: Though Being Cool has some of the best donuts in the city! Bunner’s Bake Shop, Toronto: One of the first vegan bakeries I’ve ever tried, known for their delicious baked goods. They have two locations in the city (the Junction, Kensington Market). You’ve gotta try the cinnamon buns. Everything is also gluten-free. Indie Coffee Passport, Toronto: A passport to discover independent coffee shops in the city. For $28, you can try coffee at 26 cafes over seven months. Meow Cat Cafe, Toronto: You can drink coffee and hang out with cats. There are several cats that are permanent residents, and they’re extremely well cared for (and adorable). Apiecalypse Now, Toronto: My favourite pizza place in the city, serving pizzas such as a nachos pizza, Big Mac pizza, mac ‘n cheese pizza. They also serve snacks and donuts. Upstairs, you’ll find a brand new vegan metal bar called FuBar Toronto. Doomie’s, Toronto: When this place opened, there were line-ups out the door for months. It lives up to the hype – they make the best vegan Big Mac around! Kelly’s Bake Shoppe and Lettuce Love Cafe, Burlington: These are two of my favourite vegan places ever! Try the Mile High Brownie at Kelly’s, and the cauliflower wings at Lettuce Love. Ital Vital, Toronto: A vegan Rastafarian restaurant in Scarborough. Ethiopia Vegan Restaurant, Toronto: Ethiopian food, all vegan. Try a traditional coffee ceremony at the end of your meal. Drake Sky Yard, Toronto: One of the best rooftop patios in the city. O.Noir, Toronto: Dining in the dark. This establishment hires servers that are visually-impaired. Perhaps with a heightened sense of taste, eating in the dark? Steam Whistle Brewery, Toronto: You can take a beer tour at their historic roundhouse. Gallucci Winery, Whitchurch-Stouffville: A beautiful winery in the GTA. Scotch Block Winery, Milton: Locally grown fruit and grape wines. Holland Marsh Wineries, NewMarket: Beautiful winery that also hosts weddings. Royal Ontario Museum (ROM), Toronto: Incredible history museum with special exhibitions and events. Friday Night Live at the ROM (FNLROM) showcases indie artists, DJ sets, food and drinks. Check out my visits to the ROM to see the Pompeii Exhibition and the Forbidden City Exhibition. 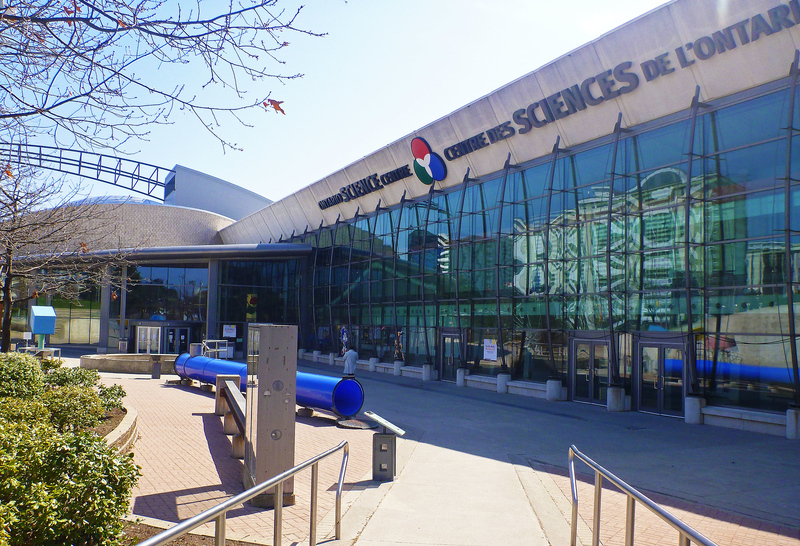 Ontario Science Centre, Toronto: Combining education and fun for the whole family. We even went to a video game exhibition there! McMichael Canadian Art Collection, Vaughan: Large collection of Canadian art, including many works by the Group of Seven. Hockey Hall of Fame, Toronto: Museum about arguably Canada’s favourite sport, hockey. Aga Khan Museum, Toronto: A museum showcasing artistic, intellectual, and scientific contributions of Muslim civilizations to the world throughout history. University of Toronto Planetarium, Toronto: Planetarium shows, telescope viewing, lectures, and more. Bata Shoe Museum, Toronto: The history of shoes and footwear from around the world. Art Gallery of Ontario (AGO), Toronto: Over 90,000 works of art. Special exhibitions happening all the time, check out the time I visited the David Bowie Is exhibit. Doors Open Toronto: Once a year, buildings of historical and architectural importance allow the public to enter previously closed spaces. Textile Museum of Canada, Toronto: Massive collection of fabrics, garments, carpets, and more from all around the world. Canadian Opera Company, Toronto: Largest producer of opera in Canada. Offers a free concert series. Ed Mirvish Theatre, Toronto: Enjoy an evening out to see musicals, dramas, comedies, and more. 5 Drive-In Theatre, Oakville: A drive-in movie theatre with three screens, each one showing double features. One screen is the same size as an IMAX one! 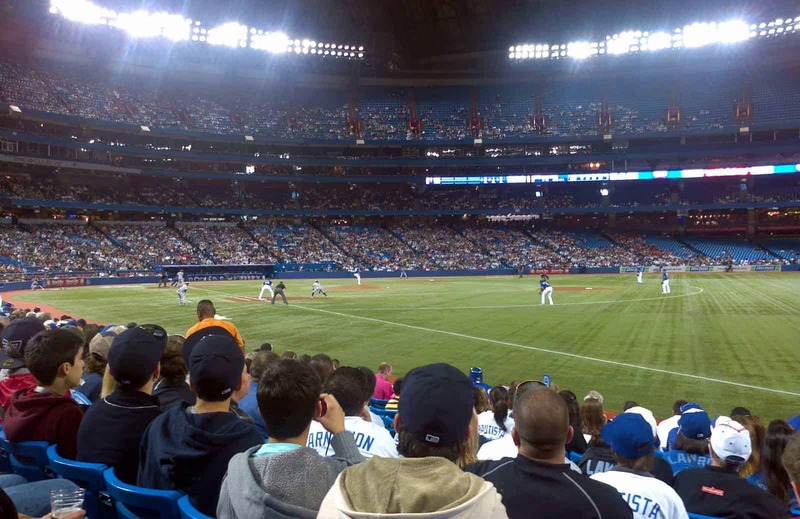 Sporting Events, Toronto: Toronto is the only Canadian city to have a team for each sport. We’ve got the Maple Leafs, Raptors, Blue Jays, Argonauts, and Toronto FC. Maple Leaf Square, Toronto: Maple Leaf Square is the best spot for tailgating before a game. Watch the game from big screens with fellow fans. Canada’s Wonderland, Vaughan: A huge amusement park that every teenager in the GTA pretty much visits every summer. Dave & Buster’s, Oakville & Vaughan: Justin and I love going to Dave & Buster’s to play all the video games. Every Wednesday is half price game night. Cineplex Rec Room, Toronto: 40,000 square foot entertainment complex with arcade games and a bar. LEGOLand, Vaughan: Everything is made out of LEGO! It’s an indoor LEGO playground. Please note that you cannot visit without a child in attendance with you. Scooter’s Roller Palace, Mississauga: The place for class trips and birthday parties. For young and the young at heart, roller skate around this indoor rink. Go-Karting at Downsview Park, Toronto: Challenge your friends to a fierce go-kart race! Vaughan Paintball, Vaughan: Have you ever gone paintballing? Justin goes with his friends, and maybe I’ll have to try it sometime. Piper’s Heath, Milton: One of many golf courses throughout the GTA. Bubble Soccer, Toronto: A really unique sport – playing soccer in an inflatable suit! BATL Axe Throwing, Toronto: Ever gone axe throwing? Something different to try! Omescape, Markham: One of the most challenging escape rooms in the GTA. Paint Lounge, Markham: Break out your inner artist and create a masterpiece. My favourite part is that you don’t even need to clean up after you’re done. Sky Zone, several locations in GTA: Giant trampoline park where you can even play dodgeball on trampolines. iFly, Mississauga: Indoor sky diving. Treetop Trekking, Brampton and Stouffville: Trek on platforms high up in the trees and go ziplining in the forest. High Perspective, Pickering: Hang gliding and paragliding in the GTA. Skyworks Balloon, Richmond Hill: You can go for a hot air balloon ride in the GTA. Twister Karaoke, Toronto: A karaoke bar with private rooms. Once rumoured to have hosted a 15 hour karaoke marathon. Gladstone Hotel, Toronto: Has trivia nights, cocktail parties, and dance parties. Snakes & Lattes, Toronto: The best board game cafe in Toronto. High Tea, Toronto: Go for high tea at several Toronto hotels. 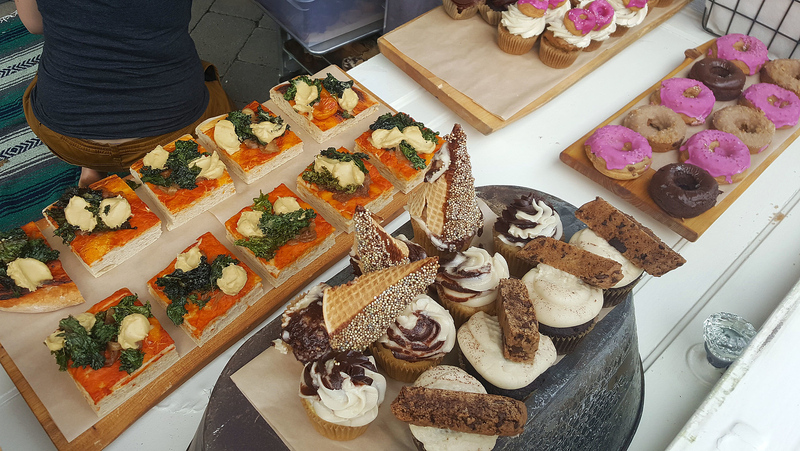 The Windsor Arms hotel and the Shangri-La hotel both offer vegan high tea, just make sure you request it ahead of time. Miraj Hammam Spa, Toronto: A Middle Eastern-style spa at the Shangri-La hotel. Tour Guys Toronto: Several walking tours and themed tours around Toronto. Some of them are free! Check out when we did the Toronto Beer Tour and the Graffiti Tour. Toronto Premium Outlets, Milton: Hundreds of designer wears at low prices. Pacific Mall, Markham: The largest Asian indoor shopping mall in North America. Eaton Centre, Toronto: Huge shopping mall with stunning architecture. Queen Street West, Toronto: Chain stores, independent boutiques, so much great shopping. Continue west to West Queen West for even more indie shops, like consignment stores and record shops. Graffiti Alley, Toronto: A lane just south of Queen Street West, between Spadina and Portland. Always changing street art and murals. 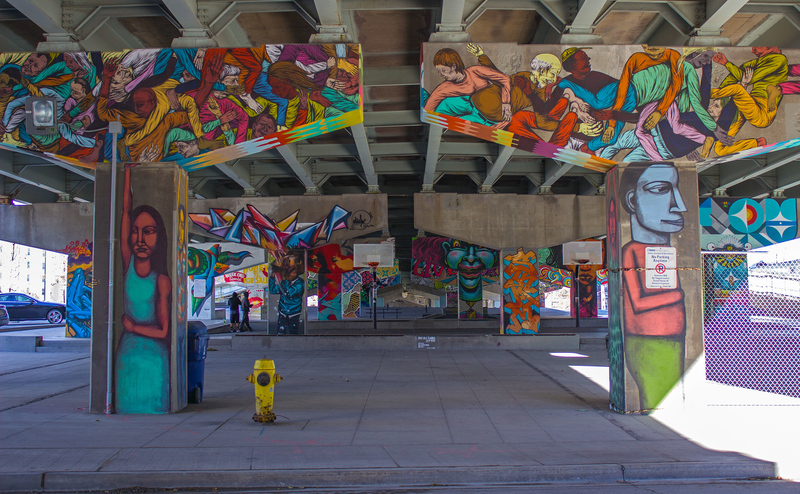 Underpass Park, Toronto: A highway underpass transformed into an area with street art, a skate park, a basketball court and more. 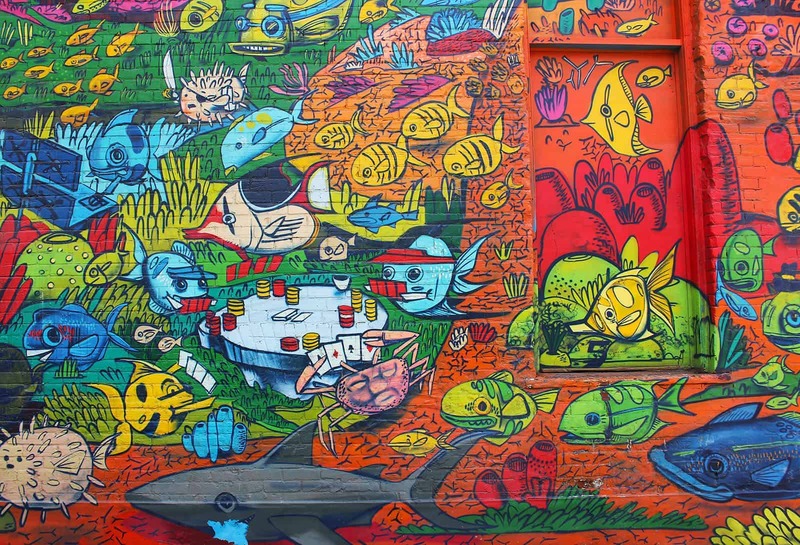 Kensington Market, Toronto: An eclectic neighbourhood with street art, consignment shops, restaurants, and more. St. Lawrence Market, Toronto: A major public market with 120 vendors selling unique products. Evergreen Brickworks, Toronto: A former industrial site and quarry where you’ll now find a market, bike shop, gardens, a skating rink, events, and exhibitions. Harbourfront, Toronto: A beautiful spot by the water where there are lots of events happening all summer long. Distillery District, Toronto: A historic pedestrian area with Instagrammable spots, restaurants, the Mill Street Brewery, and home of the Toronto Christmas Market. Yorkville, Toronto: An affluent neighbourhood with designer and boutique shops. A place to see and be seen. Liberty Village, Toronto: Many cafes, restaurants, and shops in this Toronto neighbourhood. Church & Wellesley, Toronto: Also known as Toronto’s Gay Village, it’s home to Pride Week celebrations. Nathan Phillips Square, Toronto: Selfie central with the Toronto sign! You can go ice skating here in the winter. Yonge and Dundas Square, Toronto: A public square hosting many free events for the community. The PATH: An underground network that allows you to get around the city, especially to escape the cold in the winter. I’m pretty sure everyone has been lost in the PATH before, myself included. Multicultural areas and neighbourhoods: There are so many in Toronto! For example: Little Italy, Little Portugal, Little India, Little Malta, Chinatown, Greektown, Koreatown, and Middle East Village. Downtown Brampton: Known as the “Flower City”, has a small town feel with many gardens. Streetsville, Mississauga: A small town in Mississauga with a quaint main street. Port Credit, Mississauga: This is where we live! Learn more about this beautiful village showcasing photographs of Port Credit in the summer and winter. Celebration Square, Mississauga: A public square with tons of events, a farmer’s market, and free movie nights. Unionville, Markham: A historic main street with many pubs, shops, and restaurants. Centre Island, Toronto: Take the ferry over from downtown Toronto to enjoy this peaceful area of the city. Riverdale Park, Toronto: Epic view of the Toronto skyline and beautiful sunsets. High Park, Toronto: Toronto’s “Central Park”, you’ll also find the cherry blossoms in bloom here during the spring. Rouge Park, Scarborough: The largest natural urban park in North America. Trinity Bellwoods Park, Toronto: Large green space downtown that’s perfect for a picnic. Scarborough Bluffs, Scarborough: Gigantic cliffs overlooking Lake Ontario. One of the most beautiful spots in the city. 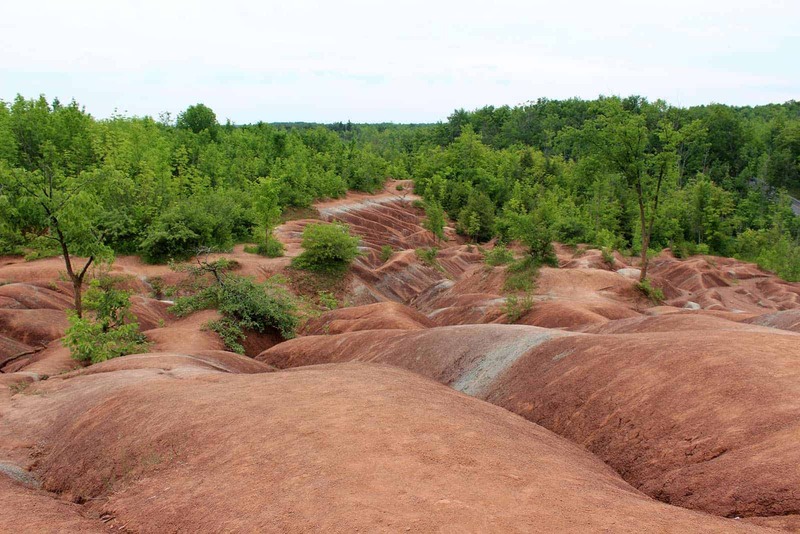 Cheltenham Badlands, Caledon: Part of the Bruce Trail. A unique landscape that looks like Mars. Bruce Trail, GTA: 900km of trail that runs from Niagara to Tobermory. Sections of it run through the GTA. I have a goal to eventually hike the whole thing. Rattlesnake Point, Milton: A great spot to hike with spectacular views. Kariya Park, Mississauga: It’s a quiet place in the middle of the city. A Japanese garden that unites Mississauga with its sister city, Kariya, Japan. 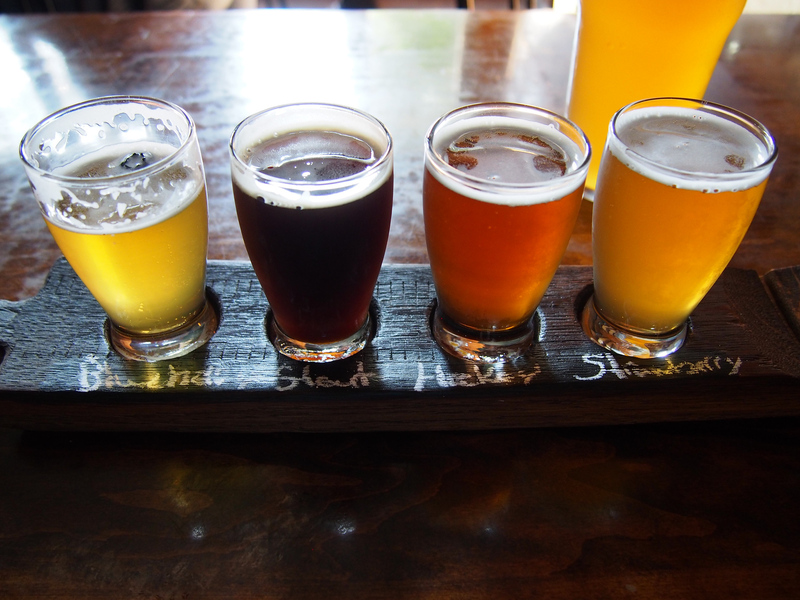 True Brew Path, Halton Region: A beer trail with 6 craft breweries from Halton, Hamilton, and Brant. Lynde Shores Conservation Area, Vaughan: Habitat for nesting and migratory birds. Greenwood Conservation Area, Ajax: 38km of hiking trails, with 6km right along the waterfront. Halton Region Forest Tracts, Halton Hills: 1739 acres of forest, and 6 tracts are part of the Niagara Escarpment (a UNESCO World Biosphere Reserve). Sibbald Point Provincial Park, Georgina: Camping, bird watching, boating, and more. Bronte Creek Provincial Park, Oakville: Camping, swimming, and special events like ghost walks and a maple syrup festival. Mountsberg Conservation Area, Milton: Hike the trails in the summer, and go for the maple syrup festival in the winter. Royal Botanical Gardens, Burlington: Beautiful gardens, trails, and there’s a LEGO exhibition going on right now. Glen Eden, Milton: Ski hills in the winter and hiking in the summer. Burlington Waterfront, Burlington: Path right along the water with a park. Near the Burlington downtown core with pubs, restaurants, and shops. 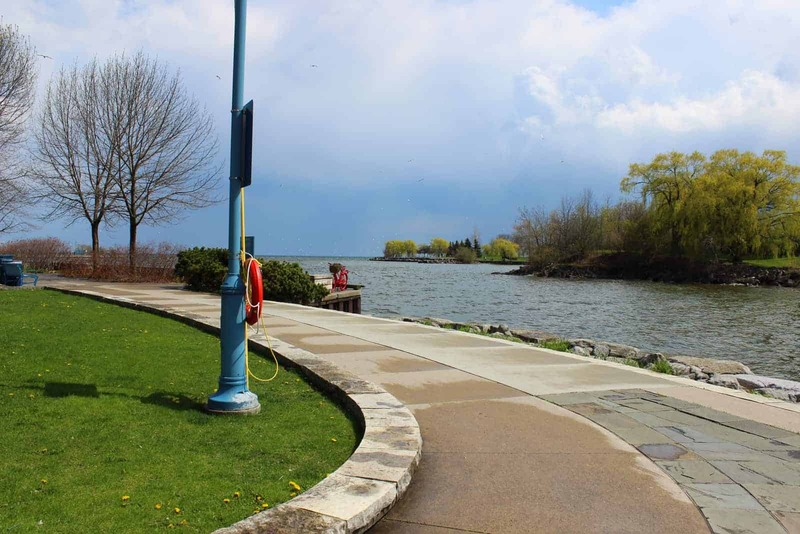 Waterfront Trail: Runs along Lake Ontario. A great place to walk, bike, or spend time with your loved ones. Credit River, Mississauga: You can go kayaking, canoeing, or paddle boarding. Hilton Falls, Milton: A gorgeous waterfall with 33.5km of trails. Terre Bleu Lavender Farm, Milton: Ontario’s largest lavender farm. Hosts a lavender festival every July with lavender products, yoga, and more. Chudleigh’s, Halton Hills: A fun place to go apple picking in the fall. Happily Ever Esther Sanctuary, Milton: A farmed animal rescue and sanctuary, home to the world famous Esther the Wonder Pig. Wishing Well Sanctuary, East Gwillimbury: A sanctuary for farmed animals. Story Book Farm Primate Sanctuary, Uxbridge: A rescue for primates used in medical testing, zoos, and former pets. The IKEA monkey lives peacefully here now. CN Tower, Toronto: Once the world’s tallest free-standing structure, you can dine in the 360 degree restaurant and participate in the Edgewalk at the top. Casa Loma, Toronto: A castle in the city. David Dunlap Observatory, Richmond Hill: Home of the largest optical telescope in Canada. They have public programs, educational visits, and special events. Oktoberfest: Inspired by traditions in Munich. Scotiabank Caribbean Carnival: Summer parade celebrating Caribbean culture. Salsa on St. Clair: Latin food and music. Taste of the Danforth: Strip of the Danforth closes in the summer and you can eat tons of Greek food. Night It Up, Markham: An Asian night market featuring food and local performers. Festival of India / Yoga Meltdown: Celebrating Indian culture, as well as free yoga all day. Pride Toronto: Celebrating LGBTQ culture. Toronto’s Pride Parade is one of the largest in North America. 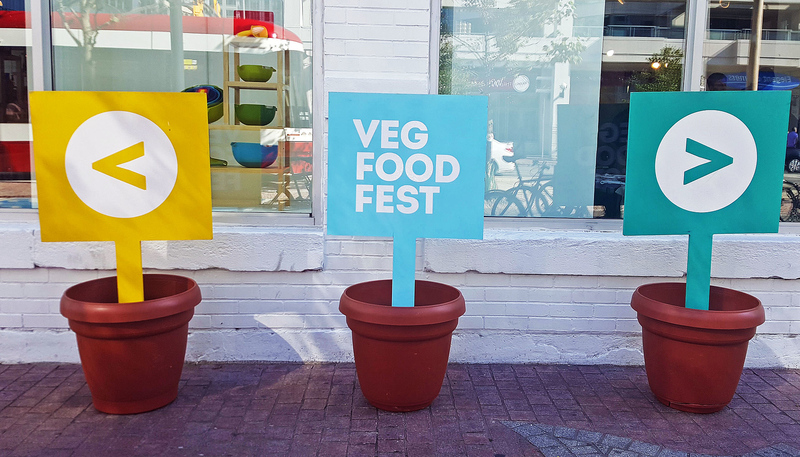 Toronto Veg Food Fest: The biggest vegetarian/vegan food festival in North America. Check out my reviews: 2016, 2015, 2014, 2013. Summerlicious / Winterlicious / Veggielicious: Special prix fixe menus at restaurants around Toronto. NXNE Music Festival: Music and arts festival every June. Veld Music Festival: Electronic, dance, and hip hop. OVO Fest: Drake’s annual music festival. Sound of Music Festival, Burlington: Free concerts with tons of bands. Canadian Music Week: Over 800 bands at 40 venues in Toronto. Nuit Blanche: All night art exhibit throughout Toronto. Toronto Outdoor Art Exhibition: At Nathan Phillips Square, the largest and longest running judged contemporary art fair. Toronto International Film Festival (TIFF): Prominent film festival with opportunities for celebrity sightings. Honda Indy: Annual IndyCar series race over three days. Canadian International Auto Show: Unveiling of classic cars, exotic cars, and innovative concepts. Toronto International Dragon Boat Race: 180-200 teams racing in Lake Ontario. Fan Expo: Celebrating all things fandom like comics, super heroes, video games, movies, and TV. Buskerfest (Toronto and Mississauga): Street performers from all over the world. 5K Foam Fest: For fans of running and fans of foam. 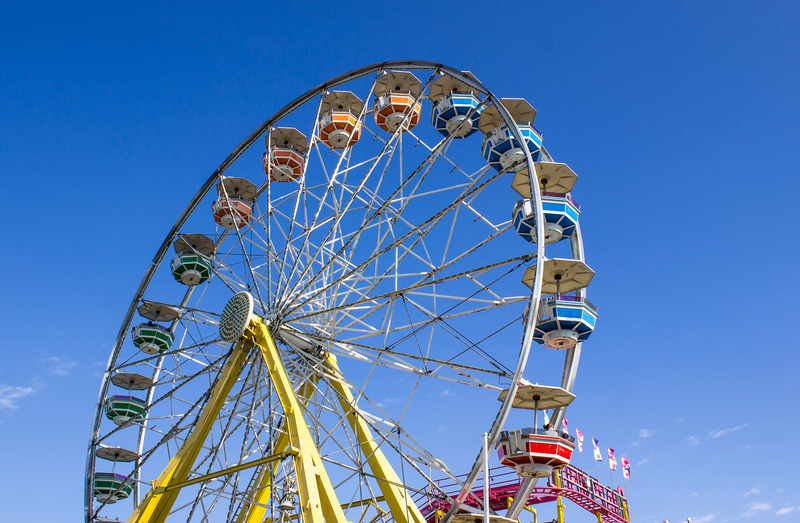 Canadian National Exhibition (the CNE): It signifies the end of summer in Toronto. A huge exhibition with a midway, as well as weird and unhealthy food. Here’s my vegan food guide to the CNE. I’m sure there are so many other incredible things to do in Toronto, but this list will certainly keep you busy. Toronto is such an amazing, diverse city with so much to offer. If you haven’t been here yet, you must travel here! I hope you enjoyed these top 150 things to do in Toronto, and I’m sure that I can think of at least 150 more. Fabulous post! I’ve visited Toronto dozens of times over the years. And I must say. I love the city more each time I visit, as I keep discovering new things! I’ll pin your post for future reference, as you’ve got some good inclusions I’ve not yet discovered. Wow, great round up! Toronto really is a fabulous place to explore, dine, and have fun! As for the Cheltenham Badlands, it’s a shame that so many people ruined it for others and we can’t visit it now, as it’s under conservation restoration. Thanks for the information. Excited to go Toronoto. Great tips! I wish I would find this post earlier. What about it is outdated? I’d like to keep it current, and as far as I know, everything is still open / happening on an annual basis. Thanks! Unfortunately, too many listings are outside the Toronto area and not accessible by public transportation. Tammy, it’s definitely a list of the GTA and not just downtown Toronto. It’s totally worth renting a car or finding a buddy with a vehicle to explore outside of Toronto! There’s just as many wonders, especially the natural ones, to be discovered in the GTA!